Included in this package are over 120 comments for students. 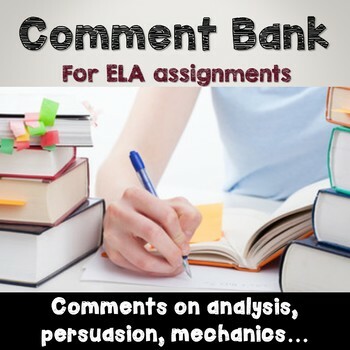 You can get inspiration from these pages to hand write your comments, or you can do what I do and copy/paste your comments into a word document, print, and staple the comment to the students’ evaluations. This is a real time saver. Parents, students, and school administration LOVE this method of feedback. And, this way, it takes much less time to be much more efficient. I hope you enjoy it!